I had a fairly productive sewing week! I finished some quilt blocks that I posted on my FB page, but I also finished some non-quilting items! 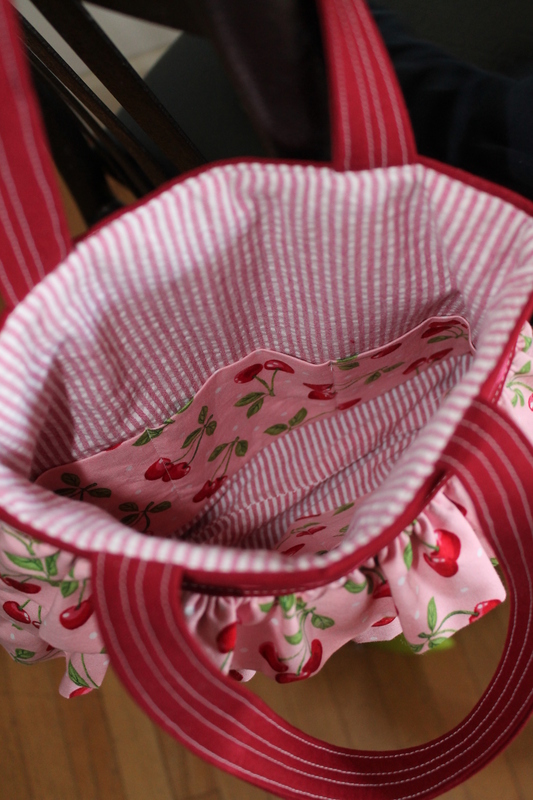 The first is this cute tote–the Rosetta Ruffle bag (I made the small one) that I purchased from You Can Make This. I’ve seen this purse around for a while–its a favorite among embroiderers, and I picked it up on sale a while back. 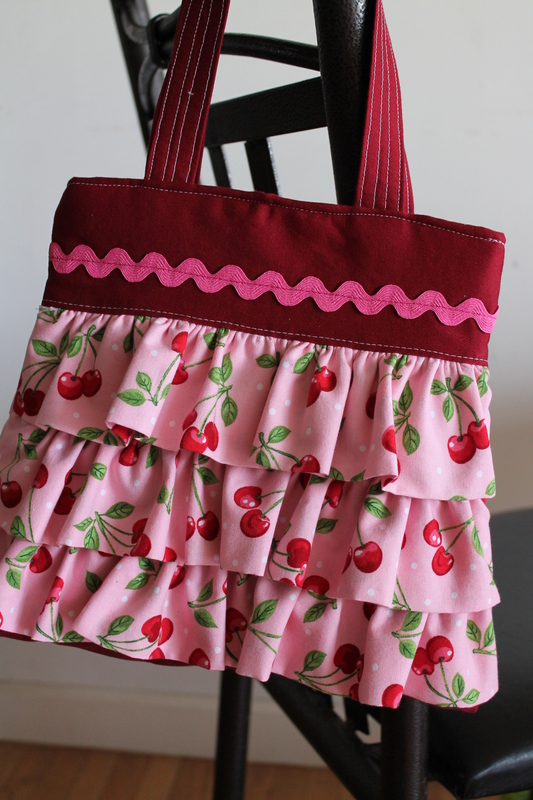 I used some cute rockabilly cherry material for the ruffles and a red cotton bottomweight for the bag. I only had peltex for the interfacing–which I had to cut away in some spots to get it to lay down correctly. There are definitely things I will do differently with the next one–I don’t like how the ruffles are attached, and i DEFINITELY will not use peltex–but it’s still a pretty cute lil bag. I’ve got a cute tropical green seersucker that would look cute as a ruffle on a larger bag, I think. 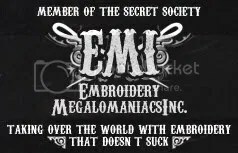 I wasn’t able to embroider this–or anything for a while–because my machine died. Not only died–but there was a great deal of drama with the repair shop that never contacted me and then claimed I “abandoned” the machine because I thought I would be crazy and just let them work on it (since they always take forever) and not nag them daily about my machine. I decided to sic my husband on them, who will–after a number of terse phone calls–will be picking up the machine later this week so that I can take it to a different repairman to see if it is indeed dead. It prolly is–I’ve had it a while and they don’t even make it anymore, and it’s prolly time to move on to a newer machine, but that will have to wait until a more prudent economic period. 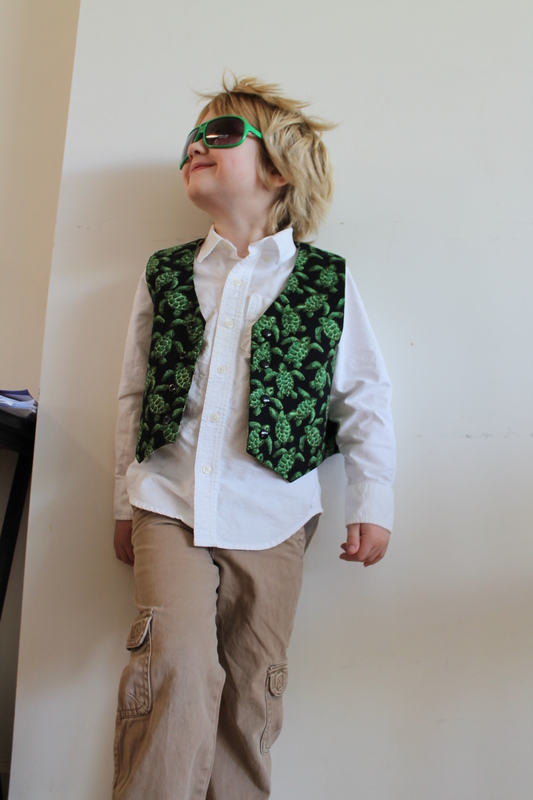 I also finished a lil vest for my lil man. I was thinking I wanted to make him a lil sumsum for st. patty’s (since I can’t embroider a tee for him like I usually do) and I thought a cute lil vest would be perfect. 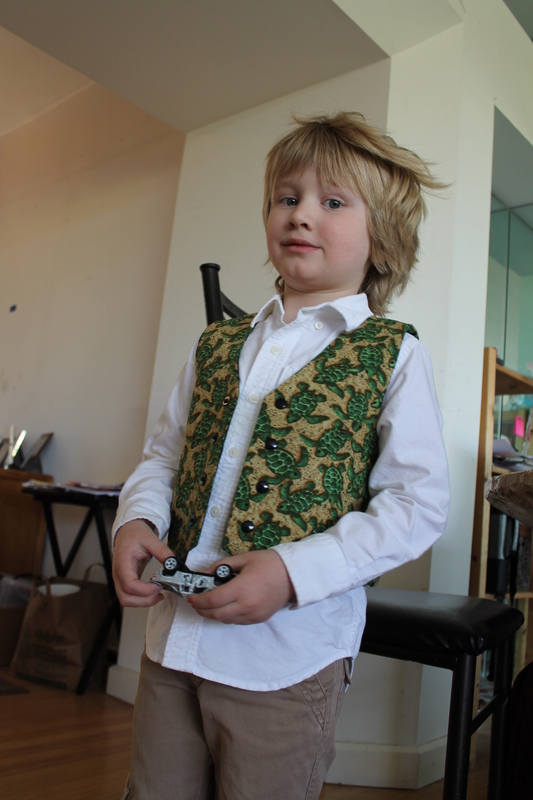 I love to dress him in a nerdy-chic look. I had this cute turtle material I got at a quilt show a while back that was the perfect candidate for a reversible vest. And he rocks the look well, don’t you think? I’ve taken to making post-it lists that I place in my calendar where I list the myriad things I want to make and it’s really helped me stay on task. This way, when I think “oh yeah, I wanted to make such-and-such!” I jot it down in there and I am reminded when I check my calendar! 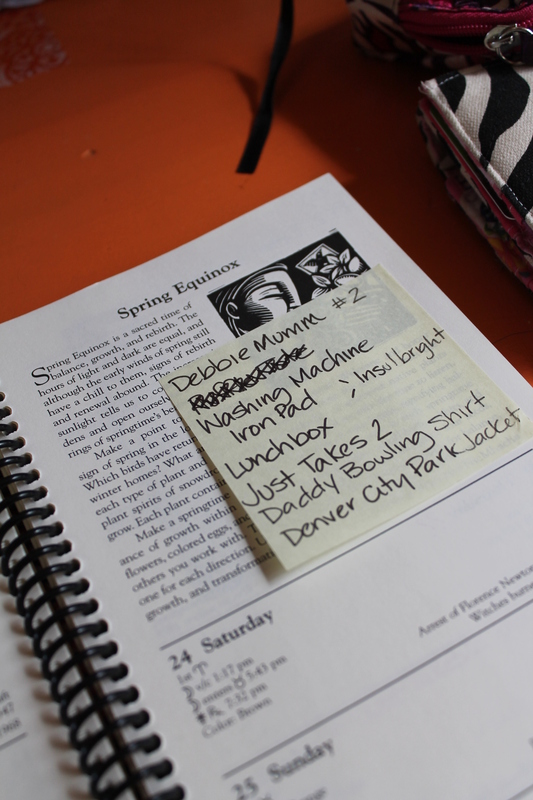 and when the week’s over, I just move the post-it to the following week. this in no way means i plan to get ALL that done within a week. Just a couple. Maybe. Moving on to some new quilt blocks this week, and hopefully some underwear for the lil man. 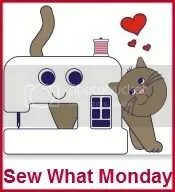 We’ll see what the week brings! He’ll definitely make everyone jealous rock’n that look! Too adorable. Love the ruffle tote bag. So spring like.